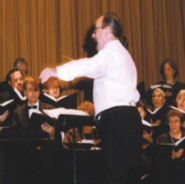 The Camerata Chorale offers an annual music education scholarship to area High School students who are intending to pursue a career in music or music education. This scholarship was established and dedicated to our long time colleague and accompanist Edward B. Greene. “Ted” Greene was an avid supporter of all of our activities and particularly the endeavors of young people in our region. Students who reside in the school districts of our members are given the opportunity to apply through their High School music teachers or guidance counselors. Information packets are also mailed to all Dutchess County School Districts. Criteria for the award are based on scholastic achievement as well as active participation in the music activities of their school and community. Students must submit an essay to the Scholarship Committee indicating what music means to them and why they wish to pursue music as a career. Students must also indicate where they intend to continue advanced study in music. Information is mailed to school districts in January or February each year and subsequently reviewed by the Committee for awarding in May/June at our Annual Meeting. The award is generally between $500 and $1,000.